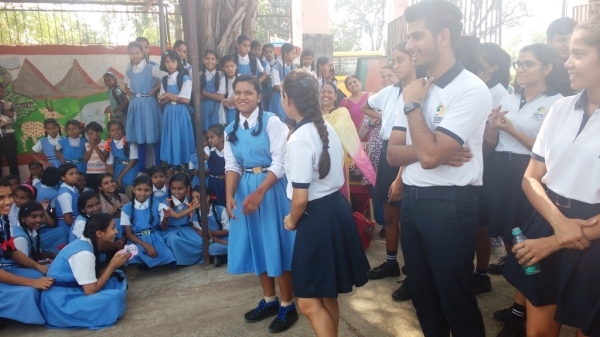 The students of Shikhar’s Social Service Club believe that the greatest gift that they can give to the world is enlightening the fellow citizens on the benefits of a healthy and hygienic self. 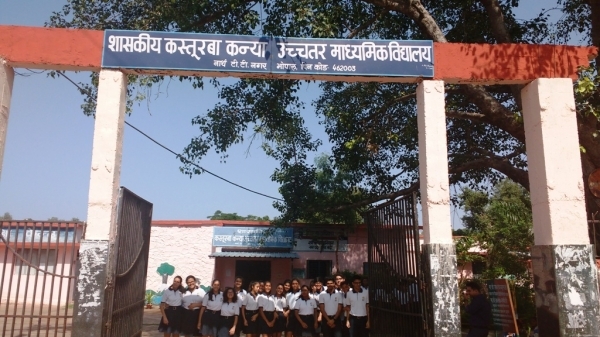 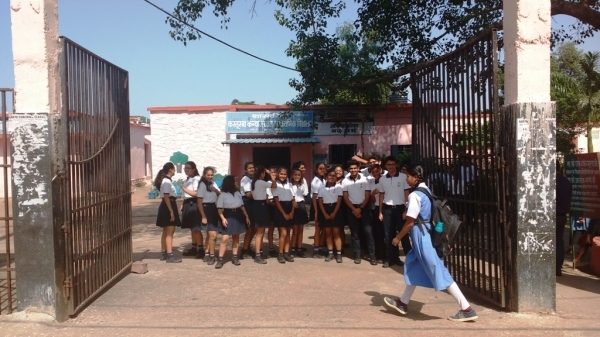 The students of the Social Service Club went to Kasturba Girls Higher Secondary School, T.T. 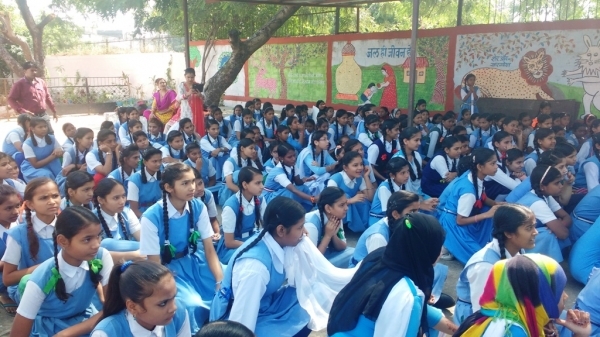 Nagar, Bhopal on 27th Sept 2018 to take a session on the importance of Health and Hygiene. 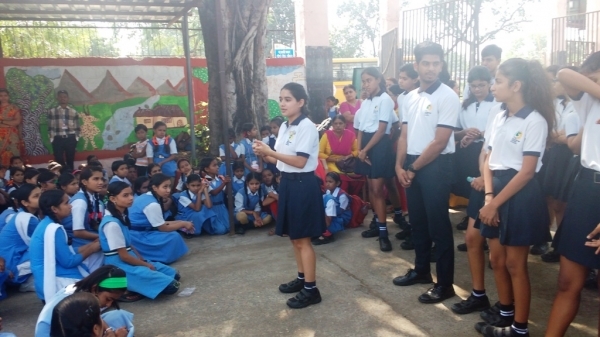 The TSVS students assembled in their assembly ground made them aware about various aspects of personal hygiene. 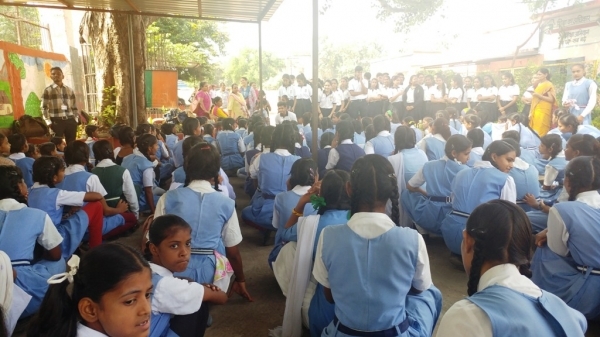 The girls of the Kasturba School were told about the common mistakes we make while taking care of our body and how to overcome them. 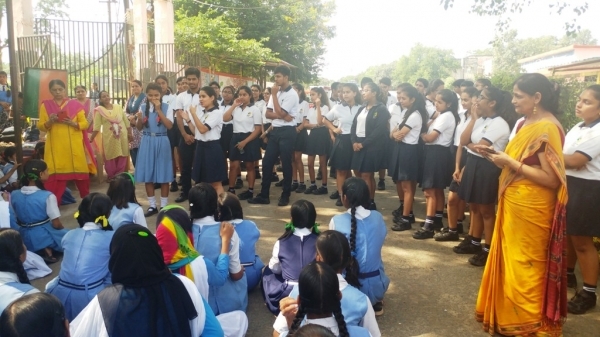 Some of the girls from the school also joined the conversation and shared their views and experiences of cleaning the campus and making a compost out of the garbage.